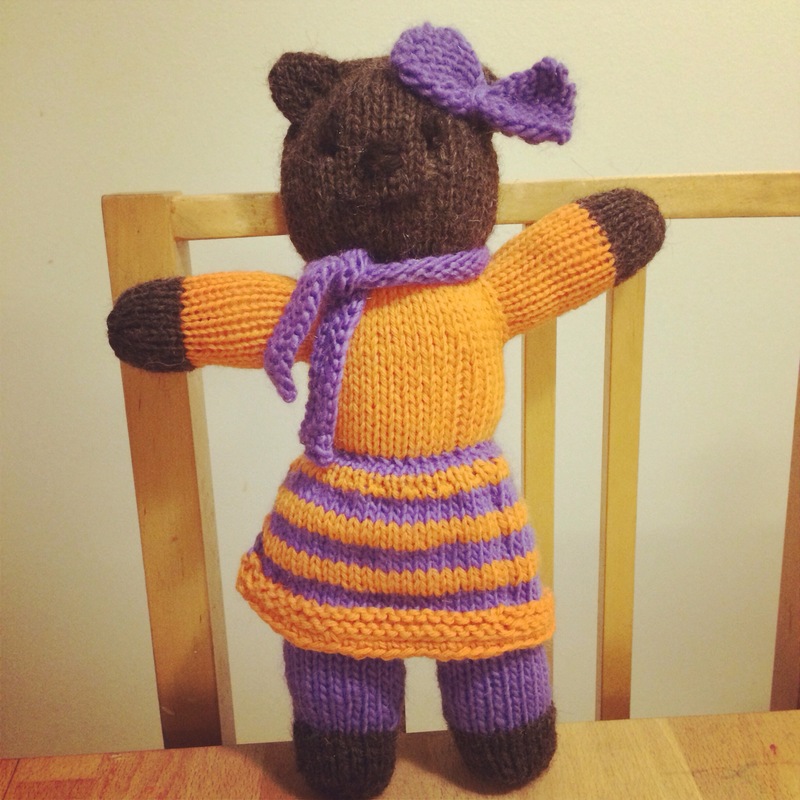 Having finished my socks, I’ve been picking up my bear project when I have just a few minutes to knit. And before I knew it, Ursula was off the needles! And then my busy hands started a new one right away. She’ll need a name starting with the letter V….